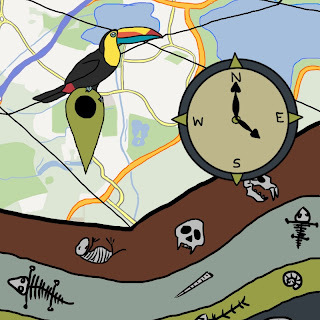 Please note that MapTime is currently under development and we have lots of ideas and plans of ways to make it better. The project is currently unfunded (pending grant applications) so please be patient. A list of planned future developments already in the pipeline will appear here shortly. We also welcome comments and suggestions, which can either be made through comments on the blog (or below), or by contacting webmaster@maptime.co.uk. You can also let us know which planned improvements you think should be a priority. ⊕ Fix the Known Issues with the current website. ✔ Increase the documentation for the existing time points. ⊕ Add documentation and help. Tutorials and explanations are currently limited to this blog (posts labelled "help"). ⊕ Add public transport routes in addition to the car & walking routes. Once the basic website is fully functional and documented, we have plans to unleash it on the community and allow users to create and share their own time points and timelines. Please follow this blog for further updates. ⊕ "As the Crow Flies" direct routes. ⊕ Incorporation of uncertainty and error on the maps. ⊕ Ability to export timelines to be imported into other applications. Recognizing the distinction between Time as events versus spans is one conceptually challenging aspect of learning about deep time. It would be awesome if "events" could be augmented somehow to convey the notion of "time spans". For example, did India merge with Asia at exactly 10My - crunch? Or did the "event" occur over time span? Also - incorporating "rates" of geologic process would be another awesome addition. I'm not sure how yet - but I'm thinking about it. Maybe asking how fast you should drive (or walk) in order to simulate "events" or "spans" - say extinctions versus speciation, or emergence through total subduction of a plate ... or whatever.